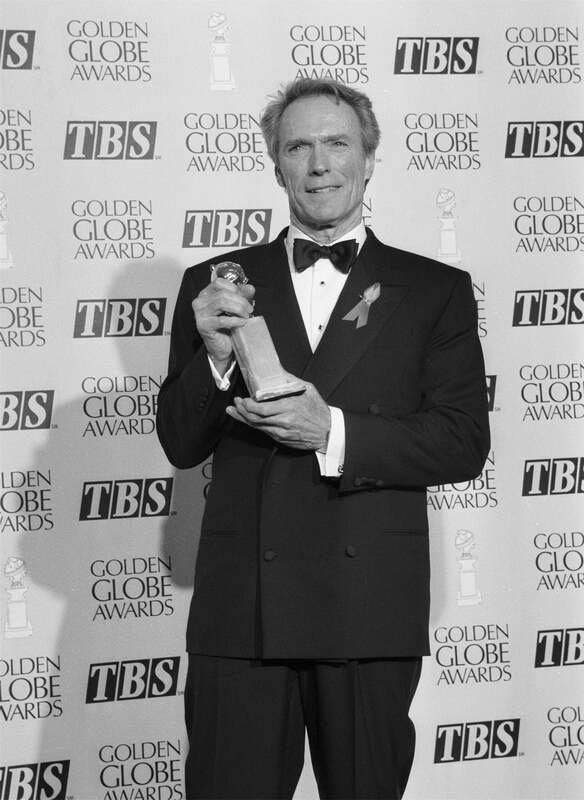 Clint Eastwood receives a Golden Globe for Best Director for the western Unforgiven, at the 50th-anniversary ceremonies held at the Beverly Hilton Hotel on Saturday, January 23, 1993. Eastwood was the recipient of two special awards from the Hollywood Foreign Press, World Film Favorite in 1971 and the Cecil B. deMille in 1988. He won as Best Director in 1989 for Bird, starring Forest Whitaker as jazz musician Charlie Parker, and in 2005 for Million Dollar Baby, starring Hilary Swank.